Dubbed as “the healthiest diet in the world,” the Mediterranean Diet isn’t a fad program like some of the plans lining the shelves at your local bookstore – it’s a lifestyle, as well as a way of eating, comprised of the traditional foods and beverages from the countries surrounding the Mediterranean Sea. The diet consists primarily of unprocessed foods: fruits and vegetables (preferably in season), seafood, and healthy grains. Fats come from olive oil, dairy, and nuts, and you are allowed sweets occasionally, but dessert is typically fruit. Herbs and spices replace salt, and you may have a (singular!) glass of red wine with your meals. Researchers have discovered that individuals following the Mediterranean Diet have a reduced risk of cancer, heart disease, Alzheimer’s, as well as lower cholesterol and blood pressure. They even claim that followers of this plan live longer, and look younger! 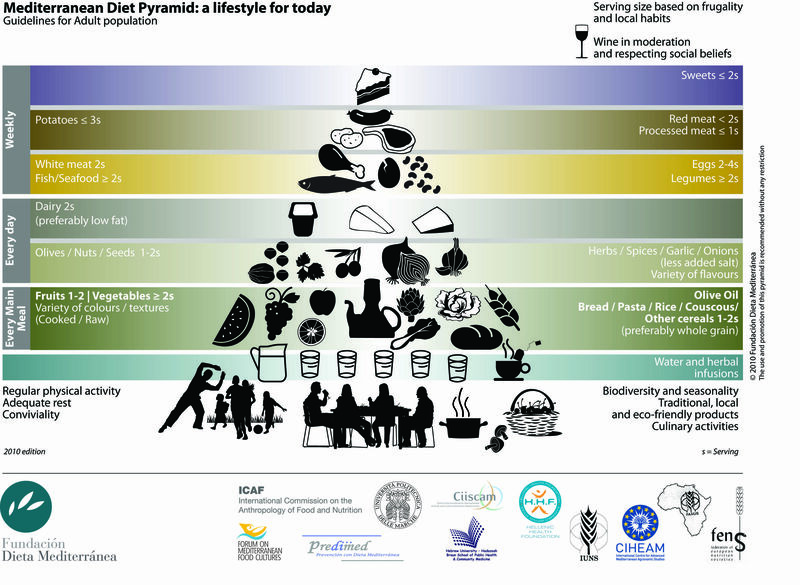 Recognizing the benefits of the plan, nutritionists, chefs, and weight-loss experts have applied principles of the Mediterranean diet into their programs, creating hybridized versions. Some I have researched include: The Mediterranean Zone, The GI Mediterranean Diet, and The Girlfriends Diet. 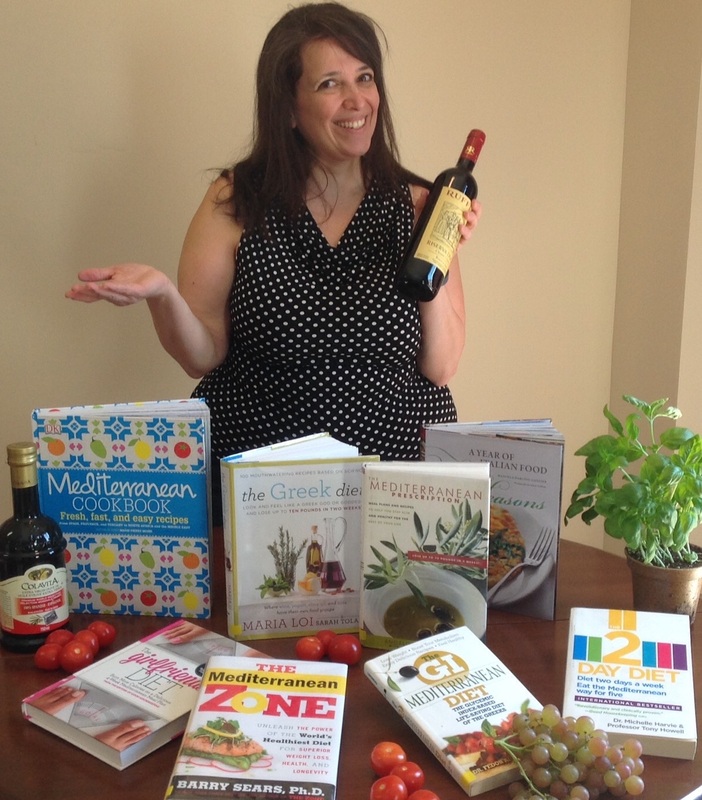 But my favourite is, The Greek Diet, by Maria Loi and Sarah Toland. The “diet” is not limited to food – its foundation is rooted in a lifestyle that incorporates daily physical activity, as well as enjoying meals with family and friends, which boosts your mental and emotional health. Think about it… when you sit and enjoy a meal with others, you’re less likely to eat and run. You slow down, savour your meal, digest your food better, and get the added benefit of being with those you care about. As I am a single, empty-nester, I plan on inviting friends and family to share a Mediterranean meal with me at least once a week. I hope you’ll be free to join me! Buon Appetito! 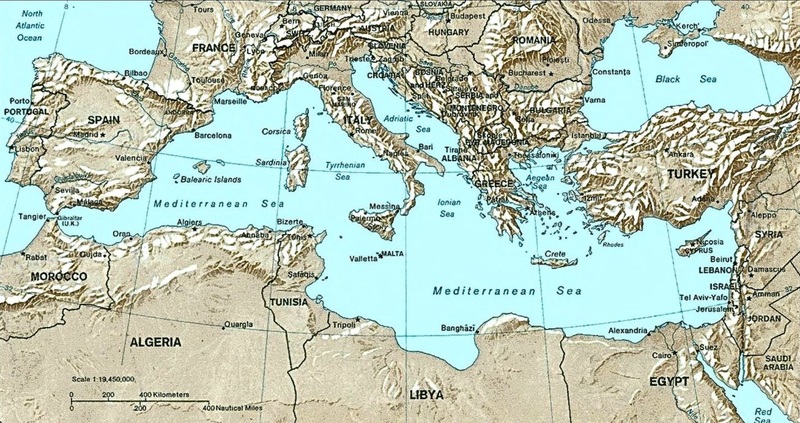 Lemons & Olives – A fantastic blog that explores Greek Mediterranean cuisine and culture. Have not heard about this Mediterranean Diet thing but makes sense. Great job with the blog and all the great content, keep it up!